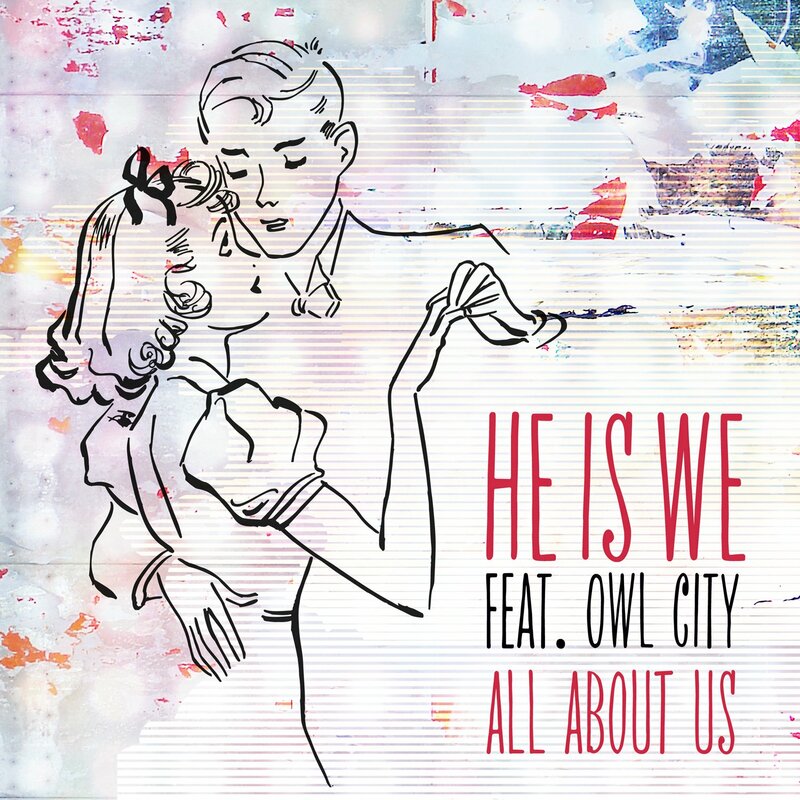 All About Us ft. Owl City is out. Which version do you like better? First off, it’s available here. I like the Aaron Gillespie version better because I think I like his voice more. Fight it out in the comments below! Next postHe is We Interview! At first, I liked the Aaron G version better, but Owl City definitely is growing on me with it and I think I like it better now. Just bought tickets to see them in Jacksonville soon. I am so excited to finally see them! I had no idea Aaron Gillespie was up to so much! I should look more of his stuff up! Honestly though, as a huge Owl City fangirl, I’d only heard of He Is We when Adam tweeted about them. Are they Christians as well? If Adam knows He Is We because they played Summerfest together, then how do He Is We and Aaron Gillespie know each other? He is We is a christian band, without really a focus of writing christian music. Some of their songs have more christian values then others, and a lot of them have references, such as “author of the moment” in Happily Ever After. As for how they met Aaron Gillespie, they didn’t really meet him before the track came out. Their producer’s for their first album knew the guy, and so he recorded the track for them actually before they had met him. Well, honestly the reason they redid the song was Adam Young reached out to them. My guess would be He is We was probably doing something else, such as tour, and didn’t have new material to work with/recorded. Owl City was probably operating on a limited time frame, so rather then invest his input on a song they weren’t sure on/wasn’t finished, they quickly had him record the verse for All About Us. While Aaron Gillespie has a large fan base, Owl City’s is much much larger. Therefore, using his followers, they could garner some new fans quickly, and increase sales of the single. I’m not saying it’s the best use, but from a business/schedule sense, it makes sense.